I’m currently 7-months post relaxer and *literally* recently took my box braids out – of course, I had no clue what to expect from my hair! I found myself washing, detangling, conditioning, detangling then detangling again. Every time my hair absorbed the moisture and my edges continued to curl. 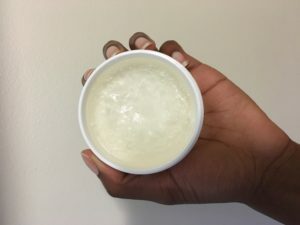 I knew I needed a great edge control! So, I’ve currently been using the Private Label Extension Edge Control to keep my edges tamed, slick and soft. 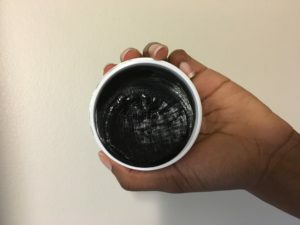 Typically, I am quite weary of edge control products because of possible flaking and that weird crunchy feeling many products leave on the hair. However, this product not only controls my edges, but makes them soft and shiny. The product even, dare I say, smells good. The smell is very similar to a nice fruity scent. The edge control comes in both clear and black, although both work, and look, the same on the hair. The product retails for $6.00 for a single bottle. But if you want to add your own label and start up a small edge control business, you can buy multiple cases with your own labeling! Be sure to check out the link below, or simply click the pictures above, to make your purchase and keep your edges laid! Sponsored Content from Private Label Hair Extensions.